Adding Google map to the printing material is common these days to guide your audience to your business location. 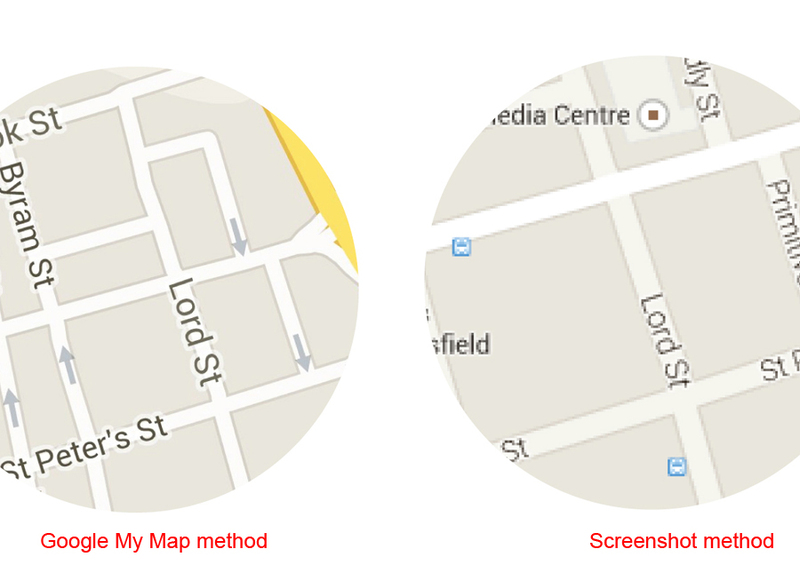 The normal practice is to take a screenshot of the Google map screen and use it in the artwork. I recently used Google map in a flyer design following the above screenshot method, the print result was very poor which ruin the look of the artwork. The 72 dpi screenshot was expected to result in a poor print but it was beyond the expectations. This tragedy (just kidding), trigger the quest of getting a 300 DPI high-resolution Google Map image for graphic design. I found different methods; the ’Google My Maps’ is the best, quickest and easiest way to get a high resolution 300 dpi map image. Click on ‘Create a new map’, you will be required to sign-in with your Gmail account. Search your location and zoom in/out as desired. Select the required size and output. Press the print button to produce an image or pdf file. Now save the pdf or image file from your browser onto your computer and use it in your artwork. 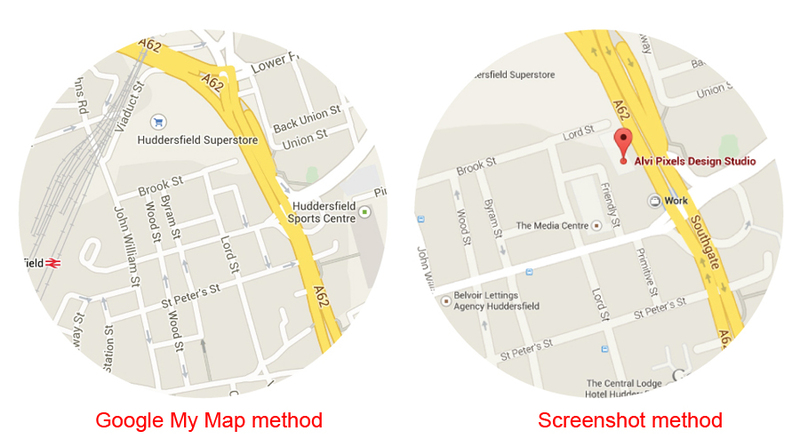 The difference between the normal screenshot 72 dpi map and the 300 dpi high-resolution Goole map generated through ‘Google My Maps’.